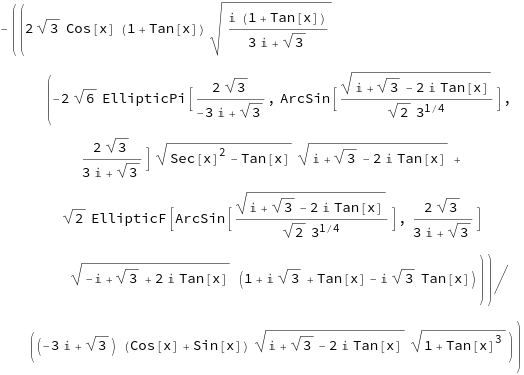 Two months ago, Albert Rich posted "What's the hardest integral Mathematica running Rubi can find?" 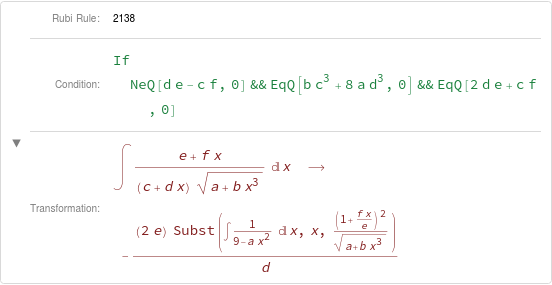 here on the Wolfram Community. You might have also seen that I responded in detail, and pointed out a few things that could help improve Rubi (Rule-based integrator). While it appears nothing really happened afterward, this is far from reality. Since then, Albert and I have worked closely together to make Rubi more accessible and user-friendly. If you would like to learn how our productive collaboration evolved, let me invite you to read my latest blog-post. However, here, we want to share an update that should serve as an overview of what we have done to improve Rubi. First of all, Rubi has got a new home under rulebasedintegration.org, and its old website will no longer be updated. On the new website, you will find information, installation instructions, and links to the source-code and test-suites. test-suite files containing over 71000 integration problems and their solutions. The integration test files are available in the syntax used by 4 popular computer algebra systems (Mathematica, Maple, Maxima, and Axiom). The test-suite can be used to compare Rubi's results with other symbolic integrators, including Mathematica's Integrate function. Here, in red are the rules used to integrate the expression, and in blue are the intermediate results. Each rule can be expanded to show the rule number, which directly corresponds to the index of the rule in Int's list of DownValues. More importantly, you can see the conditions that have to be satisfied so the rule can be applied. 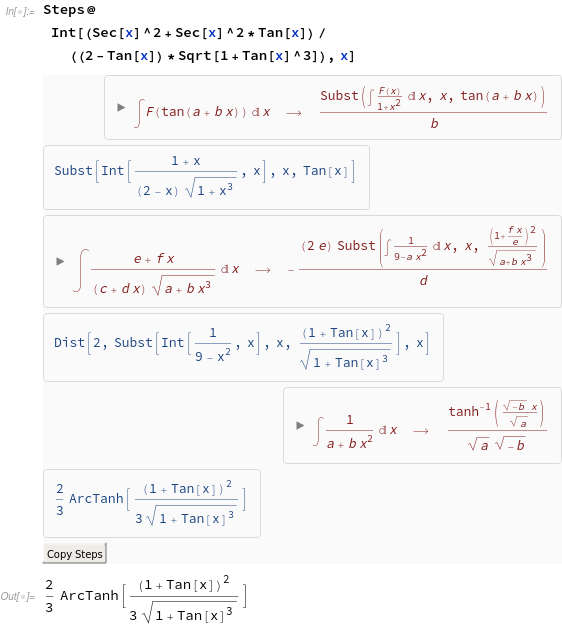 Note that not only is Mathematica's result more than 11 times the size of Rubi's, it unnecessarily involves elliptic integral functions and the imaginary unit. Albert and I are working on publishing the program used to thoroughly test each new version of Rubi before being released. The test program ensures Rubi's result equals the optimal antiderivative for the over 71000 problems in the test-suite. 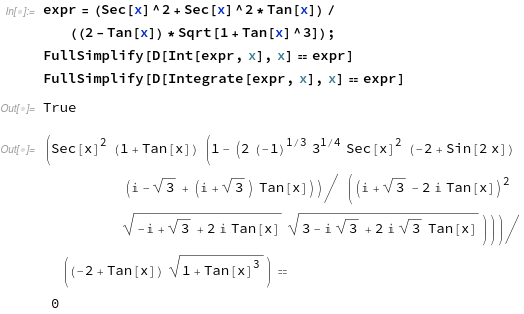 And yes, the optimal antiderivatives have all been verified correct by differentiation. Of course, the optimal antiderivatives stored in the test-suite are actually just the simplest ones found so far. If you should find a substantially simpler antiderivative than the one in the test-suite, please report it so the test-suite can be made even harder on Rubi! If all that has got you interested in joining Rubi's community of users, check out its website or talk to us in our Gitter chatroom. Terrific. And yet another reason why the teaching of calculus MUST change. We released version 4.16.0.4 recently which comes with one significant improvement: It saves the Rubi package as an MX file after the first load. This reduces the loading time for all subsequent calls to <<Rubi` drastically. On my machine, the first loading of the package took about 85 seconds. Loading the Rubi after this first run takes not more than 0.4 seconds. That is excellent news for users that regularly rely on Rubi. I decided to build the MX files on the users' machine and not distribute them. The reason is simple: Rubi works on Mathematica 7-11.3 and MX files depend on the version and the operating system. However, users of Rubi don't have to care about these details. They merely load Rubi, and the creation and loading of the MX files is done automatically. If you want to cite Rubi in your scientific work, you can now refer to the official paper in the Journal of Open Source Software we have prepared in the last 2 months.